At Home Oxygen Company, we provide home respiratory services and oxygen equipment to YOU, the patient. We answer only to you and strive to please you. Your Home Oxygen Company representative works with your doctor and insurance company to get the oxygen machine and oxygen supplies you need and want to enhance your life. We offer the latest and greatest portable oxygen supplies, and if you don’t like the one you ordered, we’ll exchange it. If you want to change again, we’ll change it again. YOU ARE IN CHARGE!!! The Respironics SimplyGo Mini is the smallest and lightest portable oxygen concentrator offered at Home Oxygen Company, LLC. 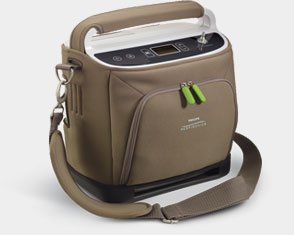 Called the most advanced portable oxygen concentrator ever made, the SimplyGo Mini offers color LED touch display, easy access to flow settings and weighs only 5 pounds! Size With standard battery9.4 in. x 8.3 in. x 3.6 in. Complete the form to request your SimplyGo Mini today! The Respironics SimplyGo features continuous flow and pulse-dose delivery in a sleek 10-pound package. For the size, the SimplyGo has more than twice the oxygen output of other small POC options on the market. Designed for people on the go! Complete the form to request your SimplyGo today! The Invacare HomeFill Oxygen System features unlimited, refillable ambulatory oxygen for patients. The oxygen is more than 90 percent pure, offers continuous flow at night and provides more independence than most traditional oxygen concentrators. Never change regulators again, every tank has an attached regulator! Comes with Concentrator, Homefill Compressor, and YOUR Choice of tanks! Complete the form to request your HomeFill System today! 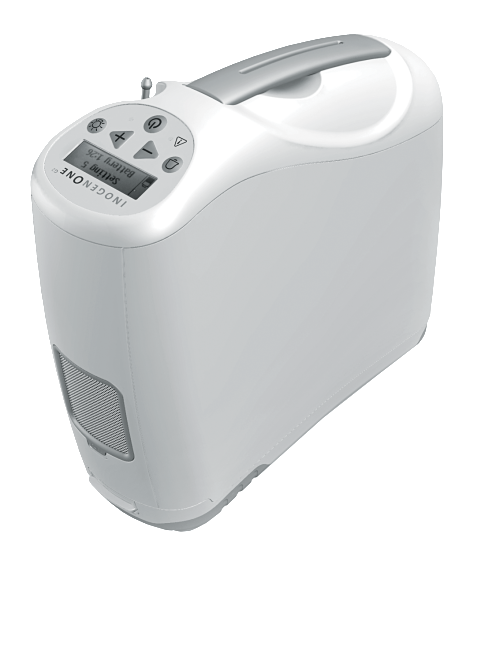 The Inogen One G2 Portable Oxygen Concentrator offers one easy portable oxygen solution for home, away and travel. Weighing less than 7 pounds, this super quiet, tankless portable oxygen concentrator offers 5 hours of batter life on a single battery or up to 10 hours on a double battery! 8 hours of battery life with ONE BATTERY!!! Complete the form to request your Inogen One G2 today! The Inogen One G3 Portable Oxygen Concentrator is even smaller than the G2, weighing only 4.8 pounds. 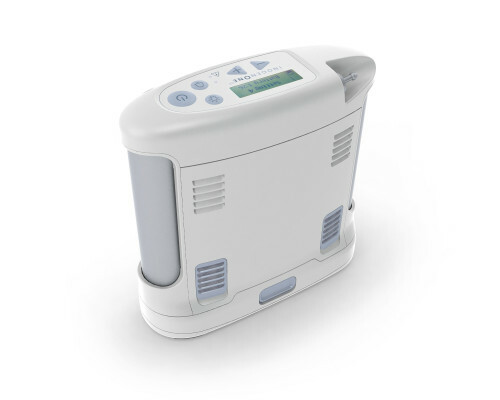 Smaller, lighter, and quieter than the G2, see for yourself how the Inogen One G3 Portable Oxygen Concentrator works for you! Complete the form to request your Inogen One G3 today!